Disclaimer: Use this “How To” at your own risk. I am not responsible for anything you break (including yourself). 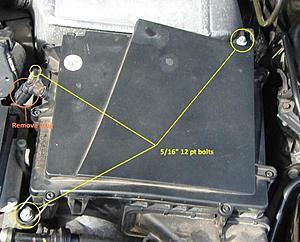 This “How To” covers the driver’s side (cylinders 7-12) coil pack. 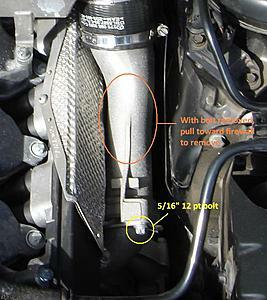 The procedure for the passenger side (cylinders 1-6) is almost the same. The time to complete a single coil pack change will be between 20-60 minutes depending on your skill level. This “How To” can also help with spark plug and/or plug insulator replacement. First, remove the key from the ignition. You will be working under the hood and don’t want to risk someone else accidentally starting your car with your fingers in there. Then, remove both engine covers by simply pulling upwards on them. 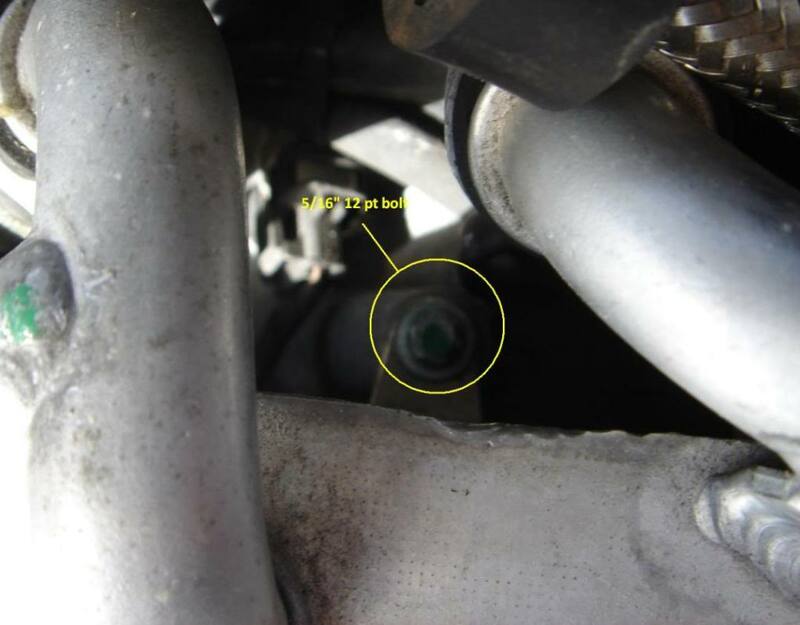 With the covers off, remove the three 5/16” 12 pt bolts holding the air box down (yellow circles), unclip the plug (orange circle), remove the hose (yellow circle), then pull the airbox upward gently and toward the firewall to separate it from the intake tube (orange circle). 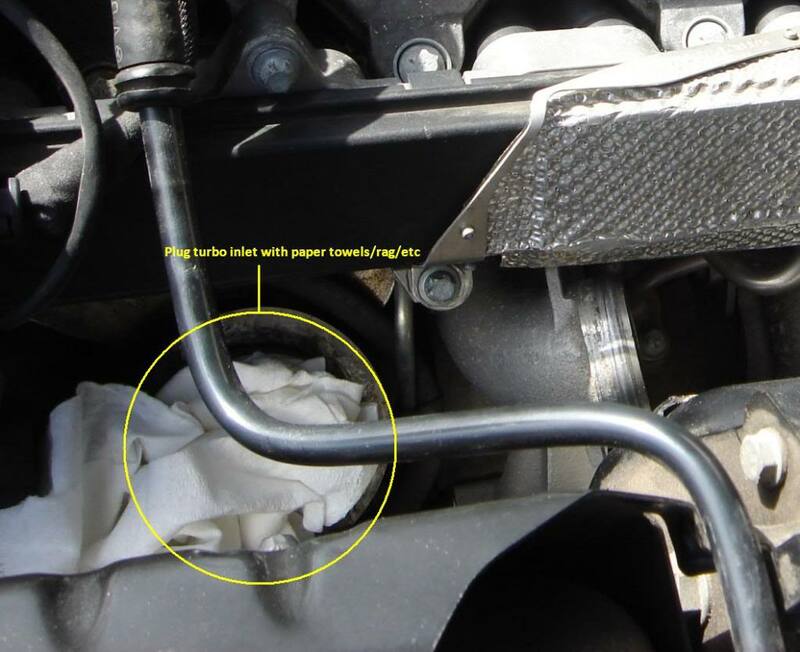 I recommend you plug the turbo inlet with either paper towels, a rag, or something of the like so you don’t drop anything into the turbo (yellow circle). 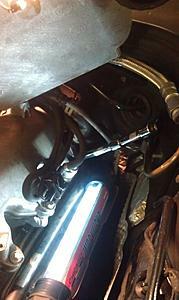 To remove the intercooler begin by remove the three 5/16” 12 pt bolts (yellow circles) and loosening the two hose clamps with either a 7mm socket (preferred) or flat screwdriver (orange circles). 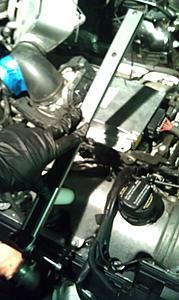 Then gently wiggle the intercooler up and out of the way, pushing it toward the firewall. Don’t move it too far, as it still has two hoses attached to it. These hoses do not need to be removed to replace the coil pack or spark plugs. Remove the 5/16” 12 pt bolt and hold down bracket (yellow circle) and pull/wiggle toward the firewall to remove (orange circle). The passenger side of the car is harder than the drivers side on my car, so you may have to use some force. First remove seven 5/16” 12 pt bolts – pay special attention to the location of the two long bolts (yellow circles) and remove the Torx T20 screw on the heat shield (orange circle). Next, remove the plug by prying upwards with a screwdriver. It will come up approximately ½” inch, then pull towards firewall as you keep lifting (yellow circle). 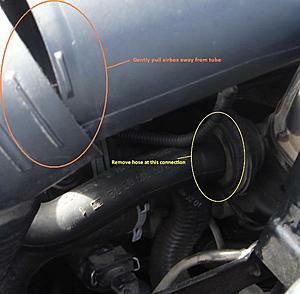 Remove the hose from the bracket under the front of the coil pack (orange circle). Now pull the coil pack straight out. 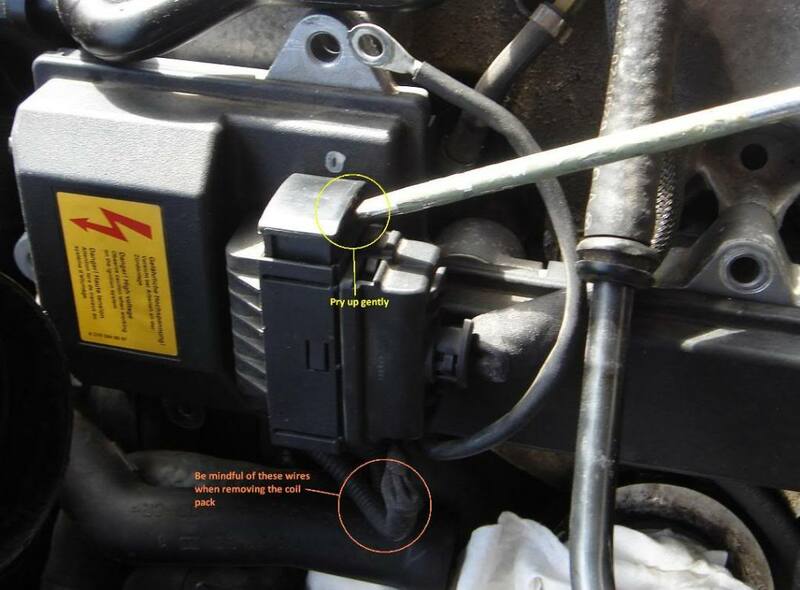 It will require quite a bit of force, pull forcefully but not abruptly (especially if you are just doing an insulator or spark plug change). Pay special attention to the wires are you try to remove the coil pack (orange circle). The coil pack will come out without removing anything else, but you will have to take care as you try to remove it. Once you have the coil pack removed, there may still be some red insulators left on the spark plugs. To remove them, use needle nose pliers. 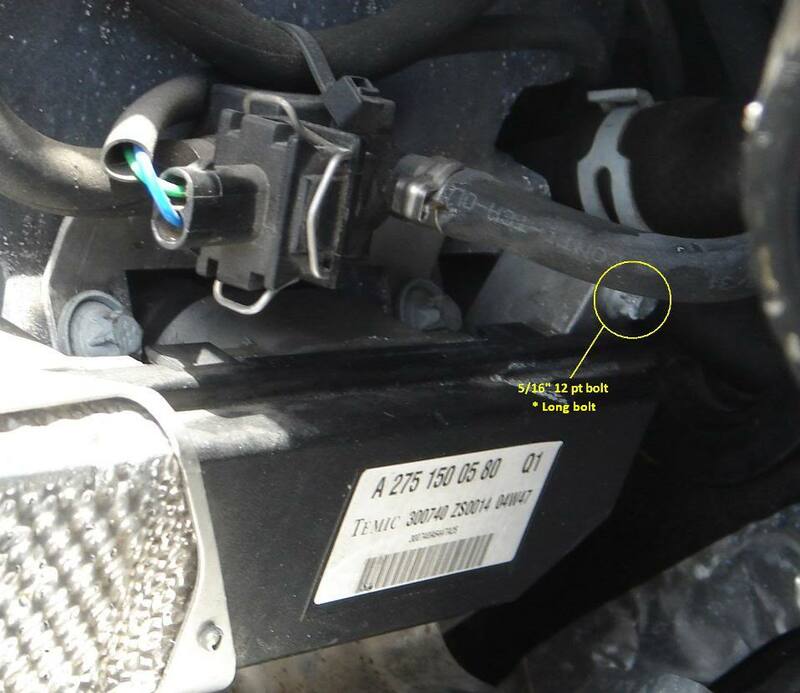 If you are replacing with a new coil pack (that comes with new insulators) you will not need to be as careful. If you are not replacing your insulators – use care with these. Note: I am told that old/cracked insulators can give the same codes as a bad coil pack. These insulators are available separately. If they are bad, when you squeeze them they will look cracked/dry rotted. If they are still soft and pliable with no cracks, they are probably not the problem. If you are going to replace your spark plugs, now is the time! Sorry, I forgot to take pictures of this part – but it’s very straightforward. 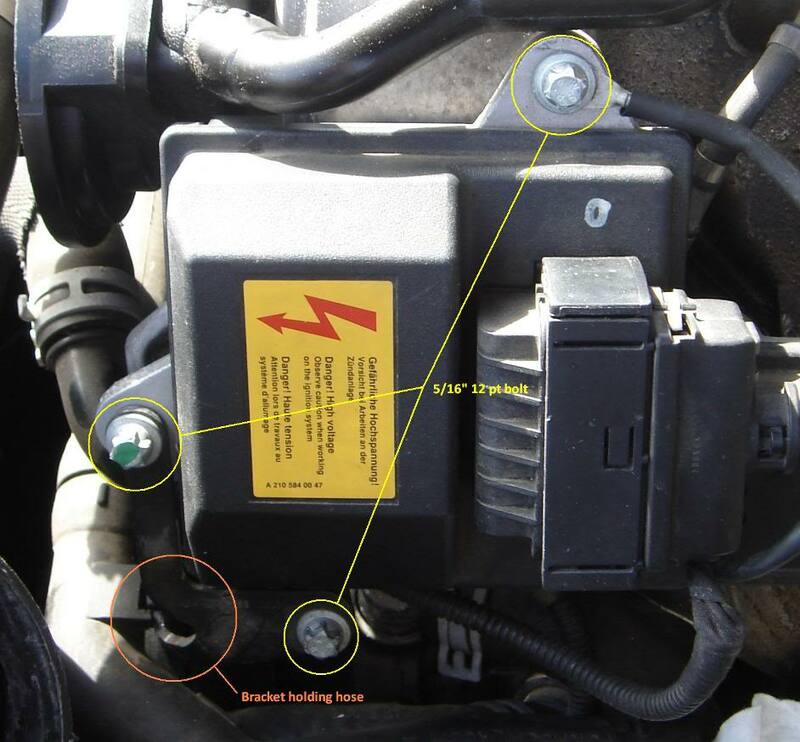 1) When you install the coil pack, give firm pressure to seat it; but do not push too hard or you may break it. You can also get it started and use the bolts to help finish seating it. Pushing down directly over a tube is better than pushing between them. And remember where your two long bolts go. 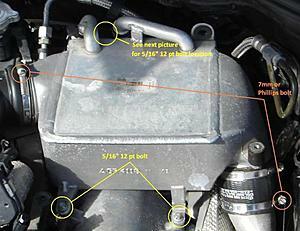 2) Don’t forget to put the heat shield on the new coil pack. 3) Take care with the wires attached to the plug. 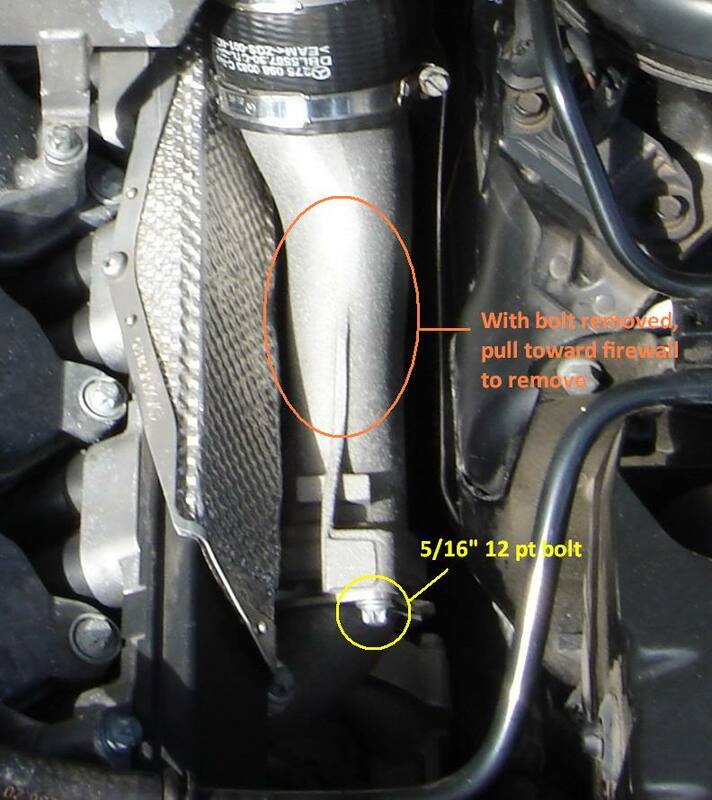 4) When you put the turbo-to-intercooler pipe back on, do not tighten the bracket all the way until you have the intercooler reattached and bolted down; otherwise you may put it in a bind. 5) Do not over tighten the bolts when you reassemble – you are putting bolts in fine threaded aluminum and you can strip it. Very nice job!!! The step by step with pics make it dummy proof. This should give anyone with a little common sense the confidence in doing there own plugs. You made it look easier than putting a kids toy together. Great contribution. No problem, just hope it helps. You know the joke, if you make it dummy proof, they'll just make a better dummy. Seriously, though - I know some of the guys that own these cars really want to do some of the work themselves, but just aren't sure. I just wanted to show that this is a very very easy change and can save you money if that sort of thing matters to you! Most people here have seen it, but there is also a write up on the intercooler pump I did that is in similar format. That was a extremely useful and well planned write up. Thanks for taking the time to do this. Very, very good work. I've ordered 24 OEM NGK plugs, and will do my plugs next week. Just did them in my E63, which were not hard at all. I was on the fence with doing the V12 myself or paying someone, but seeing your write up and pics persuaded me to go for it. Much appreciated, and thanks for sharing. The rest was straight forward. Want to add you might want to snip the ziptie that holds a wire that is below the square part of the coil that wraps around, on the right coil. Also there are what looks like vacuum lines that also hinders from pulling out the right coil pack, had to disconnect it at the T.
Other than that, can you believe getting the air box to let go by pushing up was the hardest, b#%*h.
First time is always the hardest. Last edited by NRL; 04-13-2012 at 04:48 AM. I did it once without that special tool.. And the rest with that ingenious tool. Its easier with the tool. Made by Hazet, Mercedes Part# 137589003300. 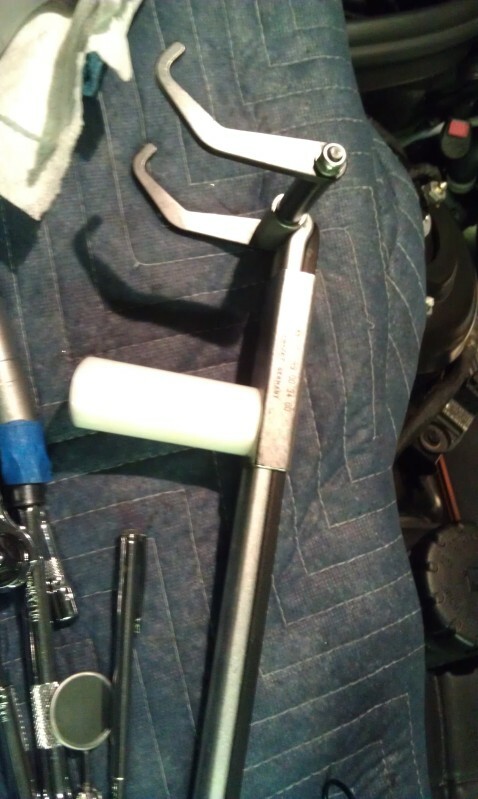 You need the base too 285589009400 which is used to leverage on the valve cylinder cover, and pivots the coil out a bit at a time..
Again not necessary, just makes it easier. Good luck, I just got mine all back together, a new beast..
Do you have the part number for the insulators themselves or any idea where to buy them? I don't see it in EPC. EDIT: Are we talking about this? 0001590080 gasket? qty 24? I also need to know which side is which, I have misfires in cylinders 7, 8, 9, 11, just curious if this is left or right side (left being driver, right being passenger). Last edited by ch33sehead; 05-24-2012 at 02:29 PM. I ordered my plugs and coil packs they should be here towards the end of this week so in the meantime I just removed both coil packs and spark plugs today. I have to say, this was REALLY REALLY easy I didn't look at any manuals or websites I just jumped in head first. This was the first one I've done on any v12 mercedes. How much do shops or dealers charge for this? I may have to open up my garage for others that need spark plugs or coil packs changed. Buick T-Type, 70 cuda, S65 and a very FAST Truck! FormulaZR, thanks for the great write up. Have a kolache for me down in West. Strongly recommend changing the plugs at the same time. Looking at a 02 V12TT S600 today that does not have maintenance records. I know the coil pack and igniter are big money repairs. Is there any way to visually confirm that the coil packs have been replaced with the "new and improved" unit? Thank you!!! awesome! thank you. so the old ones do not have a voltage warning label? Where exactly do you look to see the warning label/part number? Thank you! thank you! I ended up buying the car. I saw the voltage sticker and assumed it was the new style. going to look at the part number when I have tools and more space to dive into the engine bay. Old thread but great write up. May I ask what type of sockets are required to remove the 12 point bolts? 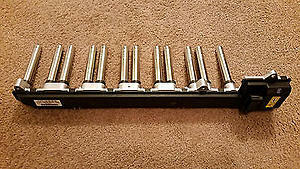 Are those E-torx sockets?